The use of internet has been increased a lot since a decade and is still increasing. People prefer to use internet as it is advantageous to us. It provides services for communication as well as buy and sell of products. To use any service or to buy a product, we need to know about it and that information we get from website. 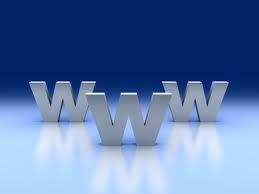 Hence, for every organization, firm, company or shop, there is a website now-a-days. It saves our time and it can be accessed anytime and anywhere. This gave birth to web application development industry. Well, schoolanduniversity.com serves as a guide to college majors in web development. What is web development? Web design and development in simple words is making a website. It includes everything from creating a simple web page to complex web based applications and web technologies. Web makers should have qualities like concentration and creativity. A career in web design might be a fruitful career. Scholarships information for web designing students is provided. Try your best to strive for it and learn web design and development from top web design colleges. The median annual salary of web designers and developers was $75,660 in May 2010. Plan : Make a list of all topics and sub topics of website. Make navigation and sitemap that is easy to understand by users. Design : Designing is one of the main phase of making website as it deals with look and feel of website. Targeted audience should be taken into consideration while designing a website. Develop : This phase will deal with coding and programming part of the website. Test : After making a website, developers test it to fix the errors if any before handling it to their client. Maintain : Though website is ready, you need to update its content if you wish visitors to keep visiting your site. According to the bureau of labor statistics, job outlook for web developers may be favorable for the ones who have sound knowledge of programming languages, scripting languages as well as web development tools like Photoshop which are useful in creating websites. The use of internet is increasing in every aspect from communication to shopping. So, with the growth of ecommerce, web design and development jobs may get increased. Ideal for: Persons who wish to pursue further education to become network administrator to solve complex issues. Ideal for: Entry level jobs as a junior web designer or web developer. Certificates offered by: web design and development training schools. Online web development certificates are also available. According to the bureau of labor statistics, employment of web developers is projected to grow 22 percent during 2010-20. Hence, careers in web development may prove to be the best in near future.